This is a porcelain plate clock with an 8 day balance wheel movement. 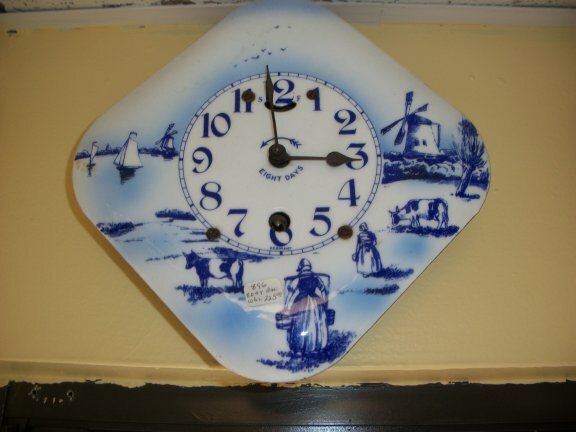 This clock is porcelain over a base metal, where as the other plate clocks were solid porcelain. Once again this is the Dutch scene and the blue delph color.